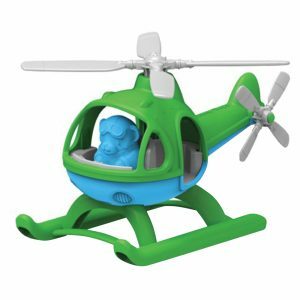 Their very first set of keys! Make them eco-friendly with our multi-coloured chunky set of keys to help soothe those sore gums. 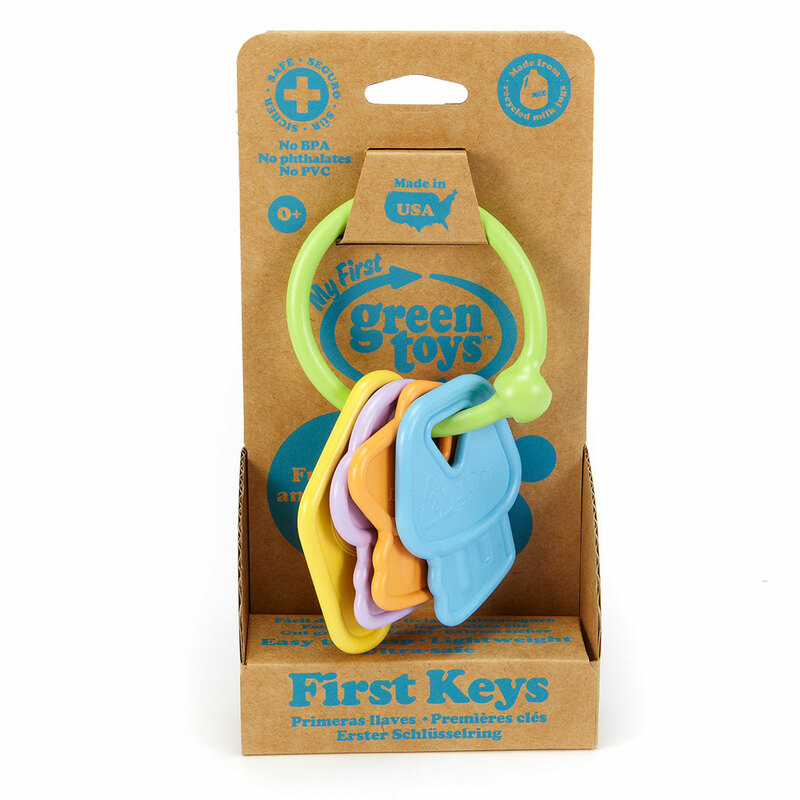 My first rattle keys from our eco-friendly Green Toy brand. 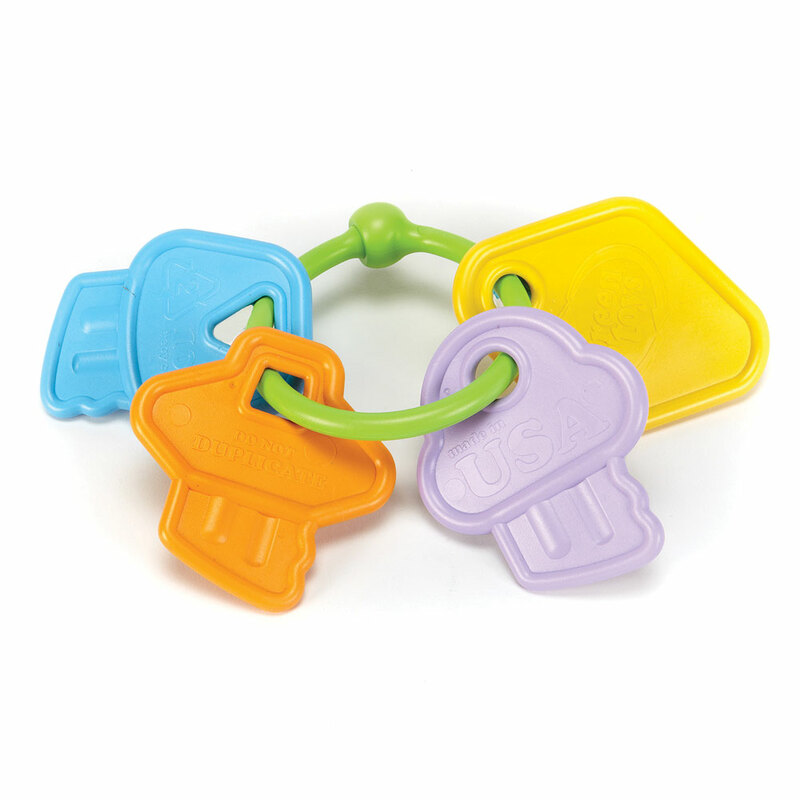 Soothe your little ones gums with our soft and chewable string of keys in multi-colours. 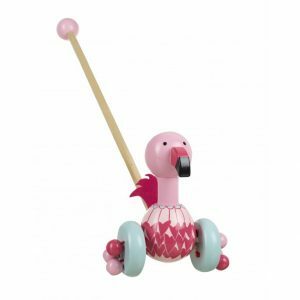 The chunky design makes it easy for the babies to grasp hold of and the colours make it interesting to look at.